Timeless Beauty Series - "New item from a Not-so-recent Collection." A bargain buy from Lisa's Cosmetics. Paper Packaging, tradition and follows the same traditional style with all Elizabeth Arden products. 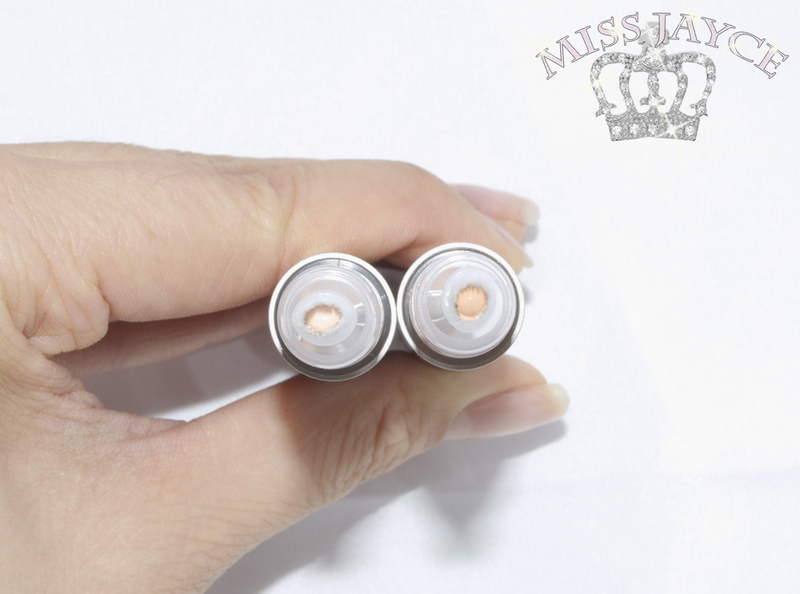 The concealer is in a twist brush design where the contents are dispensed as you twist the bottom. The clean synthetic brush before any contents are dispensed. After several (approximately 20 twists), I begin to see the contents coming out of the brush. I stopped and let it slowly come up. Otherwise you may an overload amount and it gets messy. How the brushes appear after usage. This can be a potential problem because you can't wash these brushes and it can collect dirt and bacteria. And as you may recall in drugstores, testers for any cosmetics in this design tends to be extremely messy. Left (Without Make Up): Dark, reddish eye bags, small blemish, little amounts of noticeable freckles/spots. 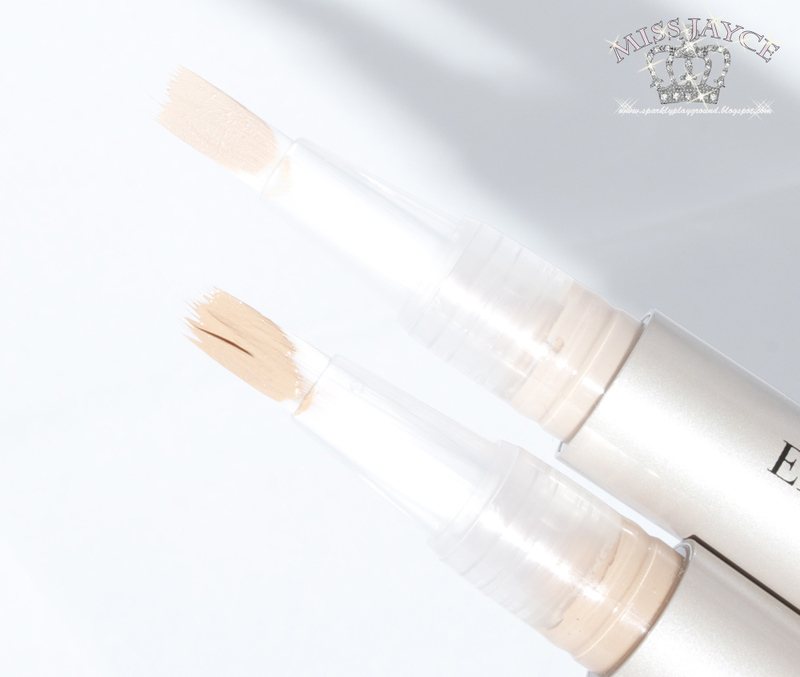 Right: Tapped to blend concealer. Blemish is not entirely covered. Ideal for all skin types, this Elizabeth Arden illuminating pen highlights and contours eyes, brow bones and cheekbones for a look that’s refreshed and radiant. Sheer Light Illuminating Pen instantly brightens skin with optical diffusers that blur fine lines and imperfections, plus it diminishes the appearance of dark circles and signs of fatigue. 1) Twist bottom about 20 times to start the product. 2) Stop twisting bottom when you start seeing the product to avoid overload. 3) Dap the product on desired areas. 4) Light pat to blend, do not rub. For dark areas, such as bottom lip corners, chin and pimple scars. Use a color that is 1-3 shades darker than your foundation. Remember if it's too dark, you can always mix with your foundation or lighter concealer to blend the perfect color. The reason for this is because, light concealers on dark spots appears to be grey. You can usually see this especially in flash photos. Can be found on websites such as Amazon, Ebay, or Outlets. With low expectation due to price and that it isn't a new product on the market, I'm pleasantly pleased. the concealer offers a sheer coverage so it's not going to conceal too much. Lucky, I usually have red/purple under eye circles instead of blue. Therefore, they are generally quite easy to cover. Due to exams, I just happen to have a arrogant blemish under my eye area. Of all spots it chooses, it chose chose an area which is extremely sensitive and quite hard to miss. The concealer does not do a good job hiding hot pink/orange blemishes. In the description of the product, it does not promise concealing anything but under eyes, so I assume, this product is not at all targeted for these areas of concern. If you were hoping to go out, head to work, a whole day of shopping with your girlfriends, this is not the product for you. It does not provide enough coverage and the lasting power is minimal. It does minimize the appearance of fine lines but it tends to get dry about 3-6 hours and you can start seeing wrinkle lines again (especially under eye area). What I liked is, that it does have a bit of glow as you can see from my photo above after this product has been blended out. It does me appear to be more awake. I like that I can just use this for everyday going to school. I don't need myself to look perfect for school as I hardly apply any make up and I wear nerdy glasses, but I wanna appear awake and not as dull. With glasses on, dark circles, I look like a zombie. So a bit of this concealer brings me back to life haha! This is perfect for that sole purpose. Product: 3/5 ♥ It fits with description, but too sheer. Tends to dry up overtime and does not cover blemishes well. Price: 5/5 ♥ at its regular price for this quality, I wouldn't purchase this. However $10 for 3 is a steal. 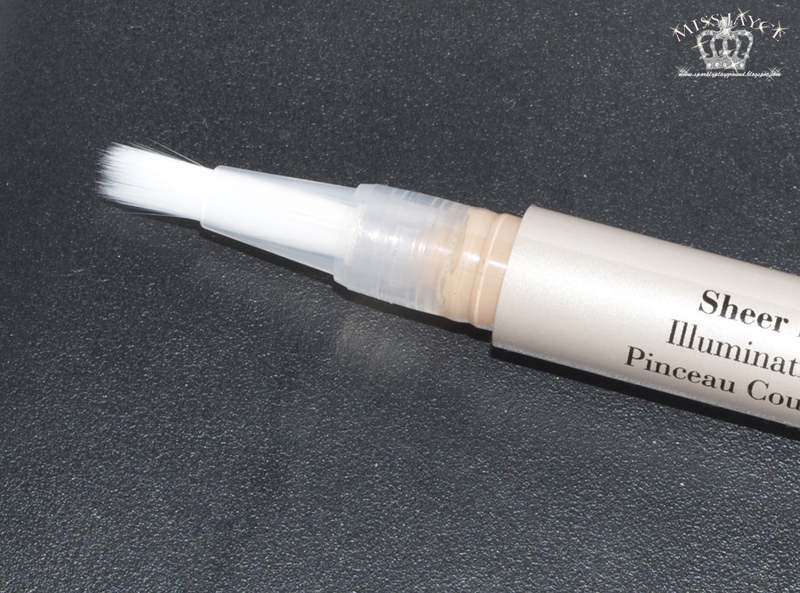 What are your hits and misses with concealers?